Sharks, crowds, the possibility of a tsunami-forget it! (SPOT.ph) Stuck in the city? Jealous of your friends who are all at the beach? Don’t get too envious-just check out these 10 movies we’ve listed and you’ll be glad that you stayed away from the ocean. DunDUN. Dundundundun. Okay, lightning strikes kill more people annually than sharks, but if there's one movie that will make you steer clear of any body of water for some time, it's this one. Sure, it's an idyllic life, at first-a beautiful lagoon all to yourselves, but...(dunDUN) yup, the beautiful blue waters of this so-called haven are shark-infested, too. It makes you think twice about this slice of paradise, not to mention the creepy, cult-like attitude the group on this island has developed. Growing up on a remote island results in you being cool with kissing cousins and being completely innocent of everyday stuff, like how pregnancy happens, for example. Another side effect of an extended period of time on a desert island: making friends with inanimate objects, like Chuck Noland (Tom Hanks) with his BFF, Wilson the volleyball. If you're not a beach person, yet your friends insist on a seaside getaway, sit them down to watch this movie that tells the true story of a family's experience during the 2004 Indian Ocean tsunami disaster. You'll be heading up to the mountains soon, we guarantee it. "Hell is empty and all the devils are here." Make sure whatever beach you're headed to is free of sorcerers out for revenge. The latest adaptation of the Shakespeare play has Helen Mirren in the role of Prospero and it's a movie that's a feast for the eyes. So pop this into your DVD player instead of heading for the beach. This South Korean disaster movie chronicles a terrifying tsunami that wrecks the southeastern tip of the Korean peninsula. Spoiler: it even cuts a bridge in half. Fortunately, it's not based on a real tsunami disaster, but it's enough to make anyone consider moving to a higher altitude. This cult classic B horror movie stars a creature moving beneath the sand that swallows unwary tourists. 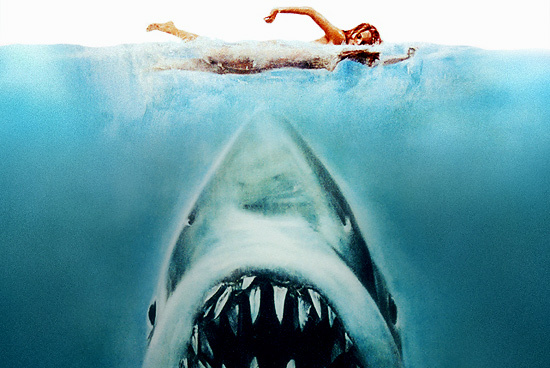 The tag line of the film is, "Just when you thought it was safe to go back in the water...you can’t get to it!" Okay, you've convinced us, we're staying in for the rest of the summer. Hereafter involves three parallel stories-all dealing with death. One of them tells another tragic story of a 2004 Indian Ocean tsunami survivor (albeit fictional). French journalist Marie Lelay (Cécile de France) survives the tsunami, but is left traumatized. There are some paranormal twists too, which makes this a great alternative to a day at the beach, where you could, you know, die. Note: This video clip might not be safe for work. If you're not afraid of sharks, then you might be afraid of crowds-crowds of party-loving youths. Since it's their summer break, they're all over the place. Be warned. Dundundundun.